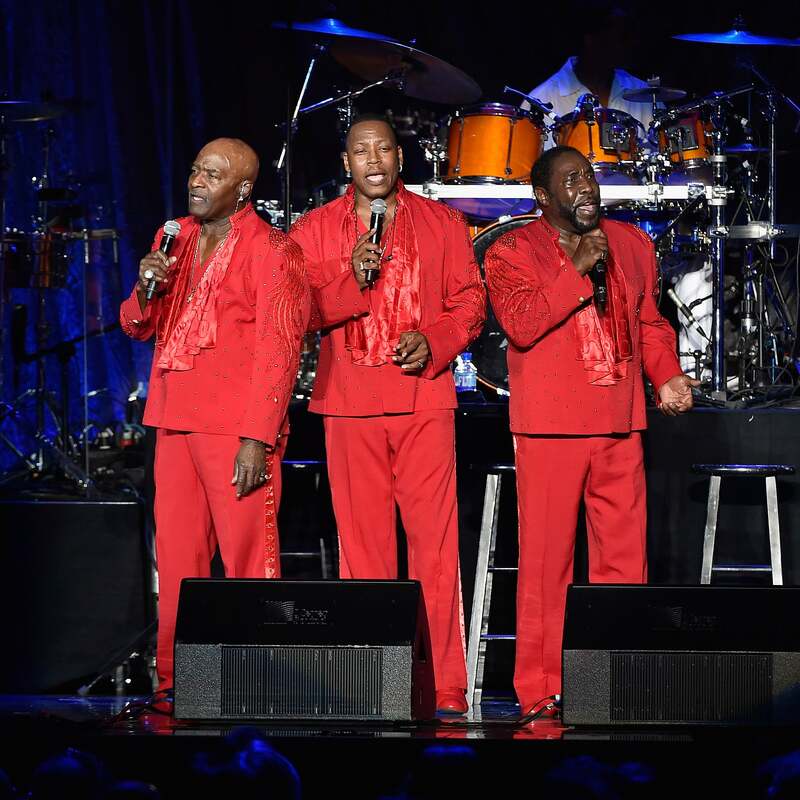 ESSENCE Fest is first on our list. Duh. That special time of year is upon us: music festival season! 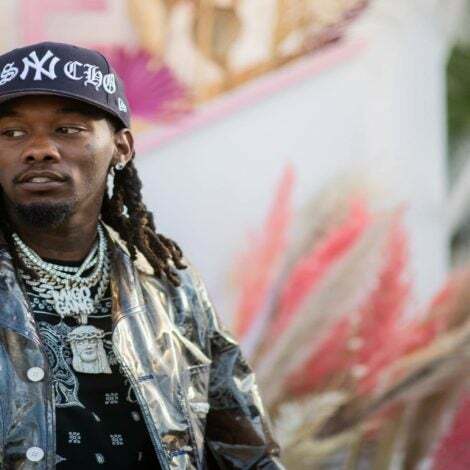 Some of your favorite artists and musicians will be making the rounds on the festival circuit, so you’ll likely have ample opportunity to see them at festivals like Summer Jam, Broccoli City, and our own ESSENCE Fest. We’ve put together a list of festivals you can’t miss this year, which we hope helps you narrow down your own list and gets you hype for music, fun, and weekends full of entertainment. Our annual festival is celebrating its 25th year with performances from Missy Elliott, Mary J. Blige, Pharrell Williams, H.E.R., and more. Tickets are on sale now. The festival kicks off July 4. 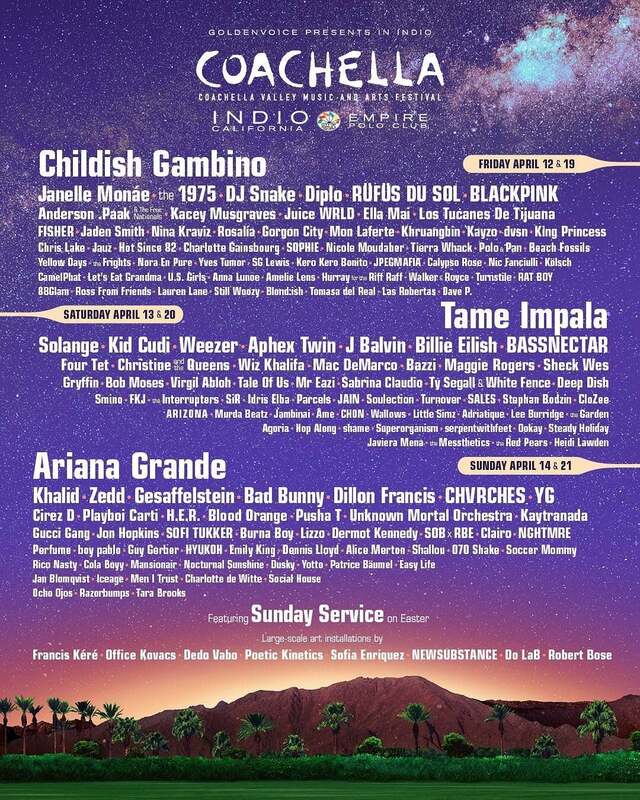 Everyone's favorite desert festival kicks off festival season later this month with performers like Childish Gambino (who will be everywhere this summer), Solange, Kid Cudi, and Janelle Monáe. Everyone and their mother will be there. Would the National Cannabis Festival take place on any other day? 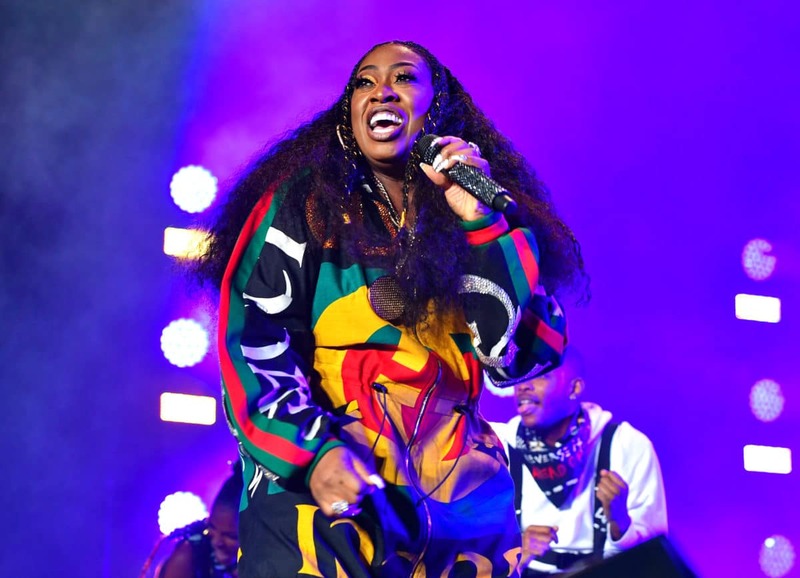 Alongside various experiences and information sessions on cannabis, performers like Ludacris and DJ Biz Markie will keep the crowd entertained. 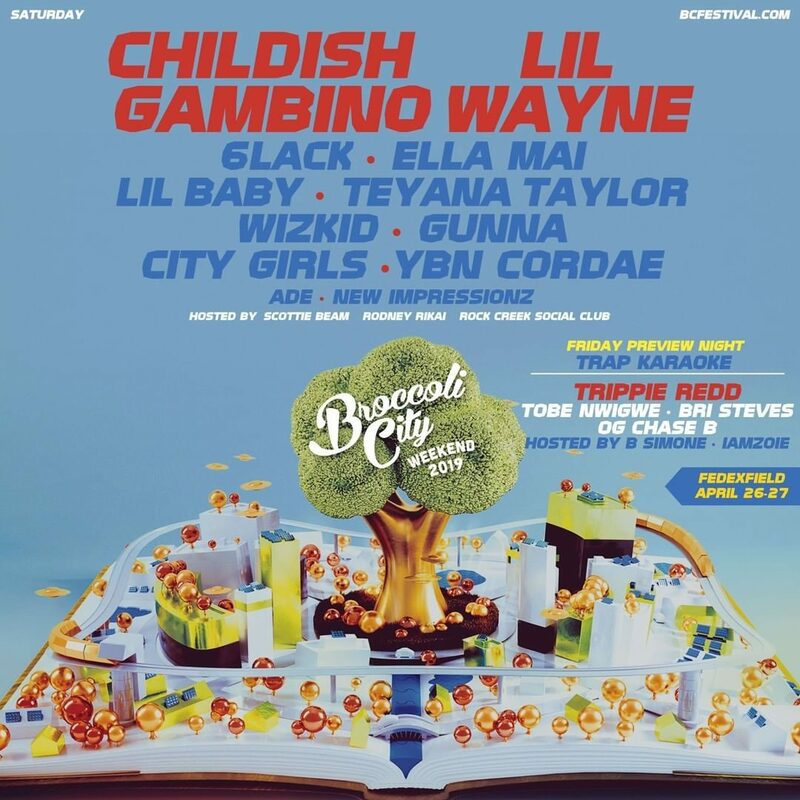 Broccoli City is not a festival you want to miss, and it maintains its place as one of our favorite East Coast festivals with performers like Lil Wayne, Childish Gambino, Teyana Taylor, Ella Mai, and more taking the stage this year. 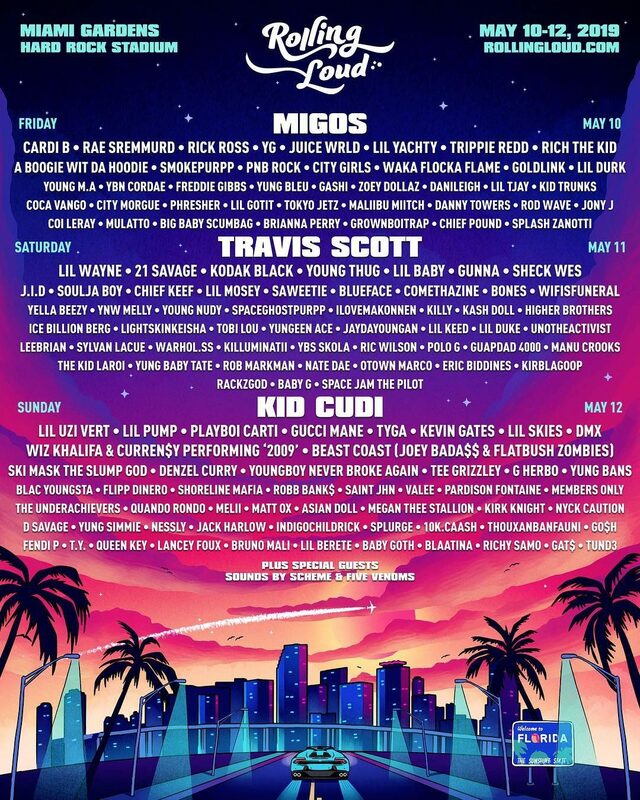 Cardi B is set to rule the summer festival circuit, popping up at Rolling Loud alongside Migos, Travis Scott, Kid Cudi, City Girls, Goldlink, and Megan Thee Stallion. 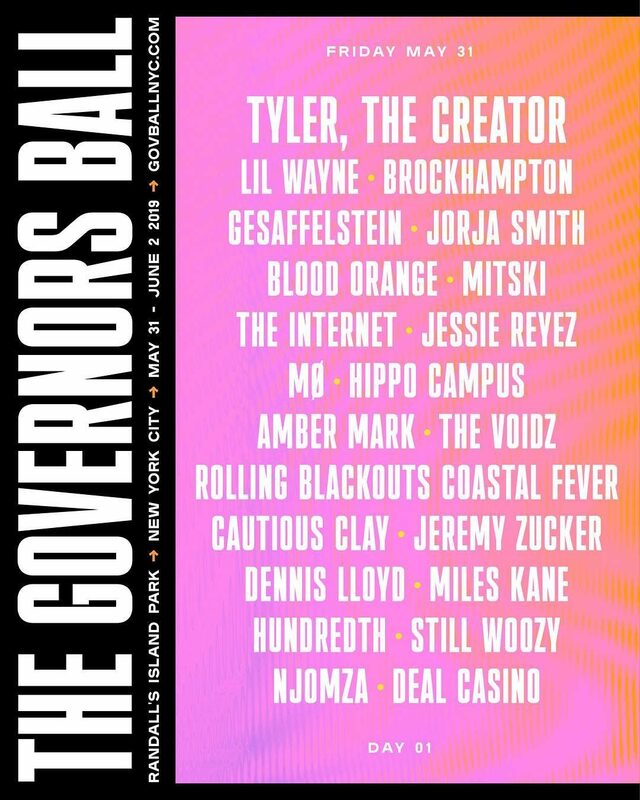 Tyler the Creator, Blood Orange, Lil Wayne, The Internet, SZA, and countless others are set to hop onstage at New York's Governors Ball for a weekend of music, fun, and various experiences. 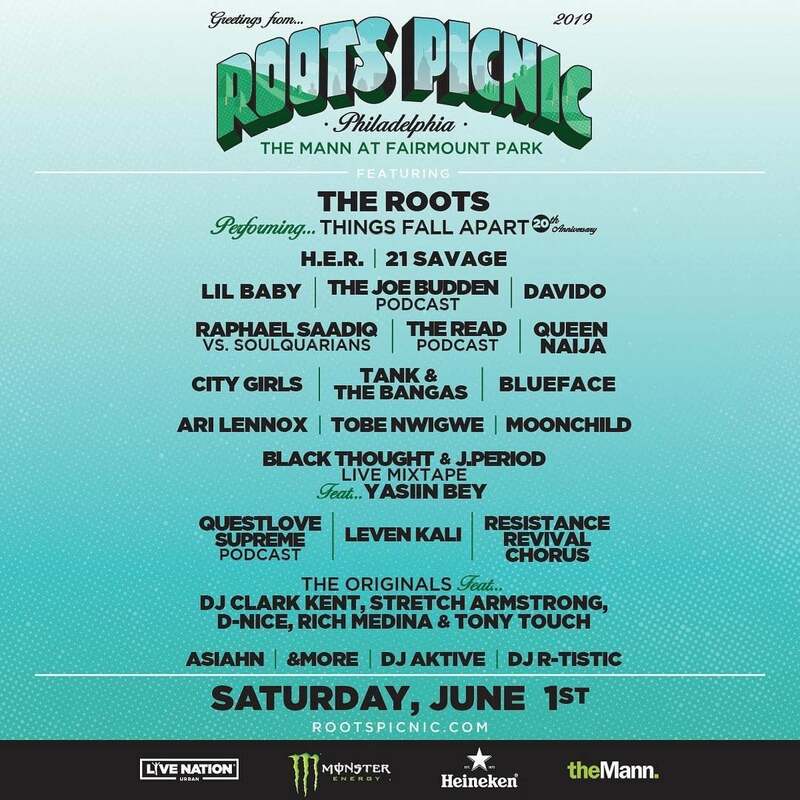 The Roots return with their annual festival, taking place at The Mann inside Philadelphia's Fairmount Park. 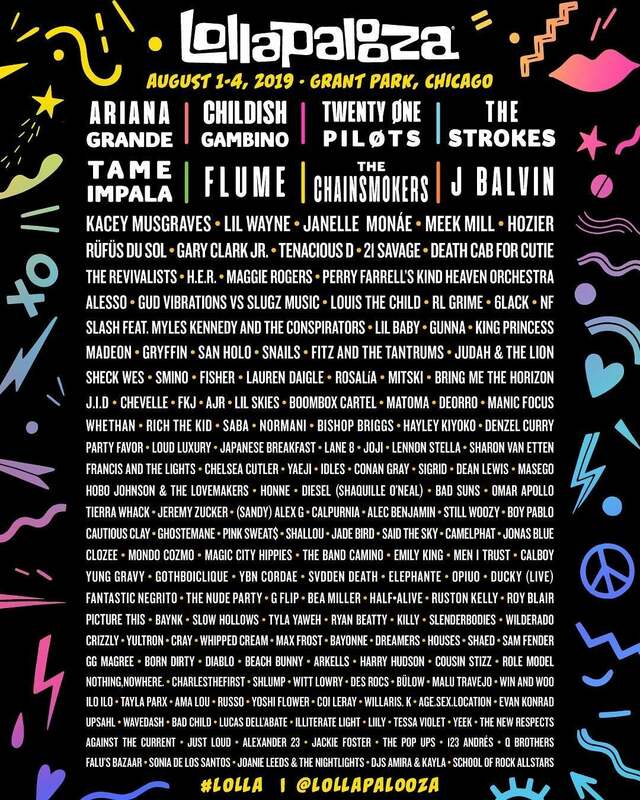 The lineup includes H.E.R., The Roots (obviously), 21 Savage, and City Girls. 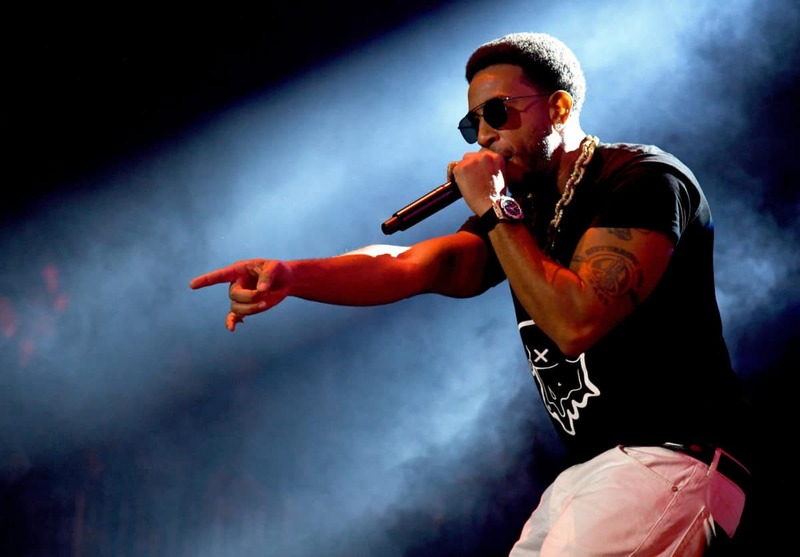 Hot 97's epic Summer Jam festival is sure to please again this year. Migos, Cardi B, Megan Thee Stallion, Meek Mill, and City Girls will take the iconic stage. Will we get a Migos and Cardi moment at the fest? We hope so. The Tennessee festival has some heavy-hitters on its lineup. Solange, Cardi B, and Childish Gambino are set to perform and will, undoubtedly, get the crowd hype. 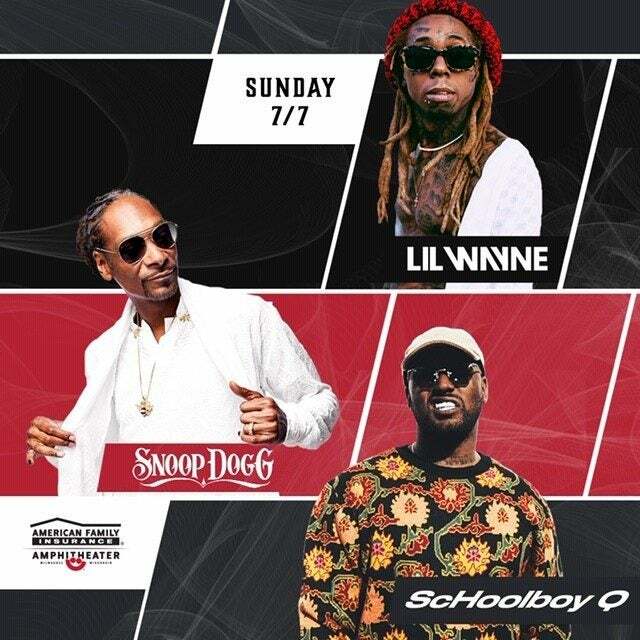 It was recently announced that Snoop Dogg, Lil Wayne, and Schoolboy Q will headline Milwaukee's Summerfest, which takes place over two separate weekends. While the first part of the festival (June 26-30) will feature more rock and country-inspired artists, the second half (July 2-7) will likely heat up as Snoop and Wayne take the stage. 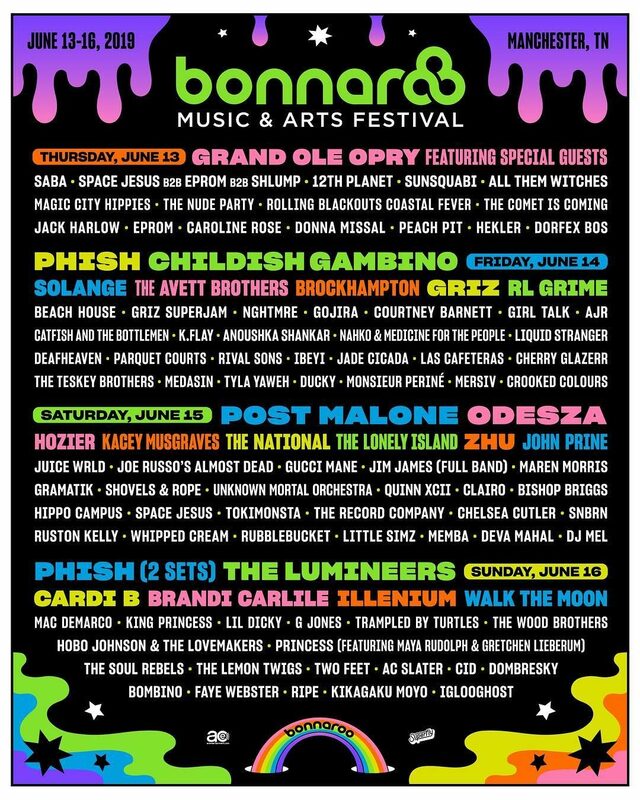 The toughest part of festivals is always figuring out which artist to see when schedules overlap and Lollapalooza will likely be no different. 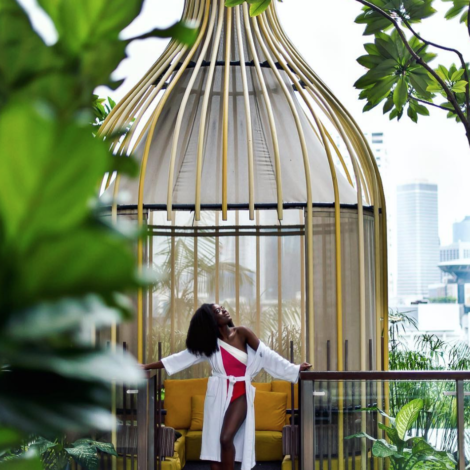 With names like Normani, 21 Savage, H.E.R., and Gary Clark Jr. on the lineup, there's going to be hard choices ahead. Woodstock returns this summer to celebrate its 50th anniversary, looking to the past and the future as it attempts to recreate the magic of the 1969 original. 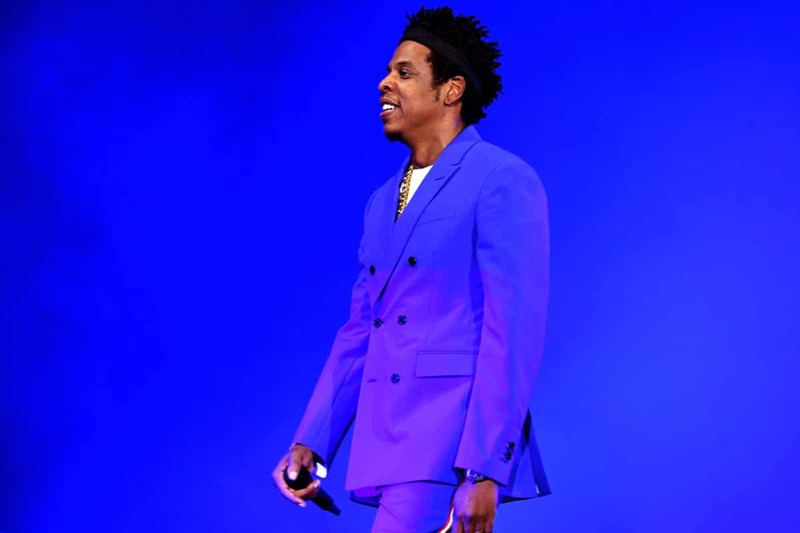 JAY-Z, Janelle Monáe, Chance the Rapper, and Vince Staples are just a few of the familiar faces we'll see at the festival. 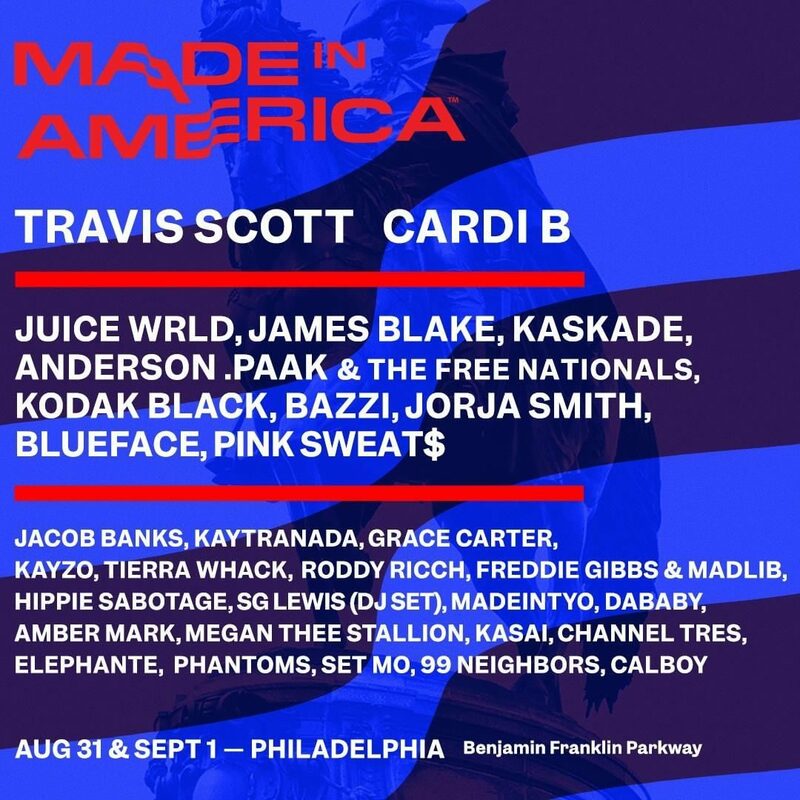 Travis Scott and Cardi B will headline JAY-Z's Made In America Festival, which will also feature acts like Philly's own Tierra Whack, Megan Thee Stallion, and Anderson.Paak.